Lisa Tully brings us industry statistics on title insurance claims both nationally and in Virginia. 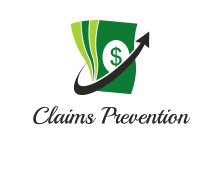 The program covers recent claims with a focus on settlement issues that are preventable with a bit more attention to detail. Fraud, deception and just plain old errors abound. We can all learn from experience how to spot and correct issues before they become claims. Lisa Tully is Vice President – Senior Underwriting Counsel for the Fidelity National group of underwriters, which include Fidelity National Title Insurance Company, Chicago Title Insurance Company and Commonwealth Land Title Insurance Company. She received a Bachelor of Arts from the University of Richmond and a Juris Doctor from its law school. Lisa began her career in the title insurance industry in 1987 with Lawyers Title Insurance Corporation prior to its merger with Fidelity National. She is currently senior underwriting counsel for the company’s Virginia National Commercial Services division. In this capacity she analyzes the risks associated with commercial title insurance policy and endorsement coverages for Virginia and multi-state transactions. Lisa acts as a resource to the company’s employees and customers, and she oversees underwriting for the division to assure excellent service to local and national customers. Lisa speaks regularly to title insurance industry groups, lending organizations and real estate attorneys on real property and title insurance issues. She is a member of the Virginia Bar Association, the Richmond Bar Association (Real Estate Section Executive Committee), CREW Richmond, Greater Richmond Association for Commercial Real Estate and the Virginia Land Title Association.